The Legislative Affairs team of the Planning Department reviews proposed legislative changes to the San Francisco Planning Code to ensure the Code is updated in a concise, logical, and coherent manner. The division analyzes all proposed changes to the Planning Code that are introduced by the Board of Supervisors and the Mayor’s Office. The division also proactively develops legislative changes on request of the Commission or the Planning Department Director and shepherds those changes through the adoption process. The Legislative Affairs Manager coordinates the Department response to matters brought to hearing before the Board of Supervisors, including appeal and hearing response. 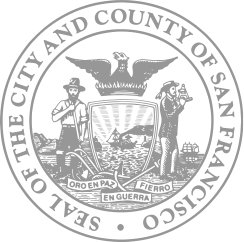 Amendments Initiated by Elected Officials: Elected officials may introduce legislative changes at the Board of Supervisors. Land use related Ordinances are sent to the Planning Commission for their review prior to action at the Board of Supervisors. The Legislative Affairs staff prepare reports on these proposals for review by the Planning Commission. The Planning Commission then offers a recommendation to the Board of Supervisors. Amendments Initiated by the Commission: Citywide Policy planners engage in long-range planning with the community that may result in comprehensive plans and amendments to the City's codes. In addition, legislative changes may be requested by Members of the Commission or the Department Director and advanced by the legislative team. In these examples, a majority vote of the Commission is required to “initiate” the proposed Ordinance so that it may be considered for approval at a later Commission hearing. If approved by the Planning Commission, the proposed Ordinances are forwarded for hearing before the Board of Supervisors. Amendments Initiated by the Public: A member of the public may file an application for a legislative amendment by completing this form. Current planning staff will prepare the proposal for hearing by the Planning Commission. If approved by the Commission, the proposed Ordinance will be forwarded for hearing before the Board of Supervisors. The Legislative Affairs Manager coordinates the Department response to matters brought to hearing before the Board of Supervisors, including appeals and Board inquiries. Commission entitlements such as Conditional Use authorizations and CEQA determinations are appealable to the Board.